As I write this, the rain is hammering down outside and I'm dreaming of warmer days. What happened to the 20+ degrees we had a week or so ago? Sigh. For me there is nothing better than getting outside in the sunshine and exploring the towns, cities and (even better) countryside around where we live. For us, we are constantly struggling with the battle of wanting to save money (for a house/mortgage/deposit etc) but also wanting to have a life and enjoy our weekends. You know the one, right? It's so frustrating and although doesn't always stop us from doing things we want to do, can still make us feel guilty for splashing the cash unnecessarily. The perfect outcome = fun days out that don't cost the earth, which is where this post comes in. In the past year we have really started to perfect the art of the road trip. Now that might be to another city a couple of hours away (did you see my post on our little trip to Bath? ), or simply jumping in the car and going to visit more local scenes. We live in Surrey and are lucky enough to be surrounded by lots of beautiful countryside, pubs and other such loveliness. Be it going for a mooch around Waverley Abbey just down the road from us, exploring Arundel Castle, visiting a country pub, or driving somewhere different for a walk over the downs. Obviously going for a pub lunch is gonna cost a bit more than a country walk, but you've got to pick your weekends. A gorgeous sunny day may call for a long walk followed by a quick stint in a beer garden, whereas a miserable rainy Sunday is made for a cosy afternoon in a pub with comfort food. Choose your battles! If you decide to go further afield, here are my top tips for a comfortable, fun and safe road trip! - Snacks; the key to any successful outing. It's easy to stock up on choccie buttons and sweets, but don't forget to pack some fruit and water to keep you refreshed and hydrated. Gawd, when did I become all sensible and middle-aged?! Don't make my mistake and eat a whole bag of salted popcorn and forget to bring a drink! - Tunes. Now, if me and Rich go on a road trip it can be tricky to find something to listen to we both agree on! On my playlist at the moment - Sam Smith: In The Lonely Hour, Banks: London, Beyonce: Beyonce, Alt J: An Awesome Wave. If you are on a long trip, good music is essential! - Handsfree Kit. I don't like going for any drive without my phone plugged into my handsfree kit* - making it easy (and legal) to answer calls when driving and not have to compromise on safety. I was asked to be a safety and security tester for Tesco Compare and have been really impressed with the TomTom kit; easy to use, great quality of sound and no-fuss set up. Spot on! - Know where you're going. As much as fun as being free and spontaneous sounds, it never works out as such! You don't want to be driving around unnecessarily for hours trying to find parking, a pub or somewhere fun-looking, so plan ahead and do your research. Find out how much attractions cost to visit - are there any discount codes online? Do they have any special rates? What is a must-see, and what do others suggest you should avoid? Make the most of those two short days we get each week! 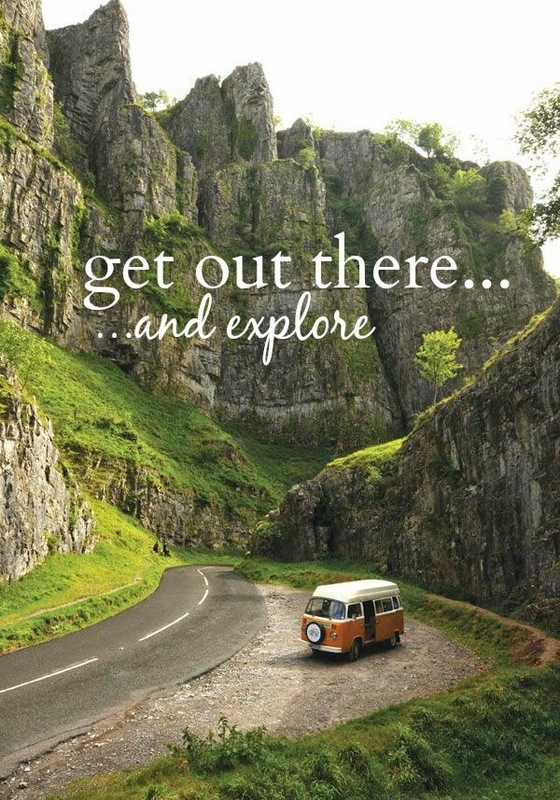 What are your top tips for living for the weekend - be it road trips or local, low-cost exploring?